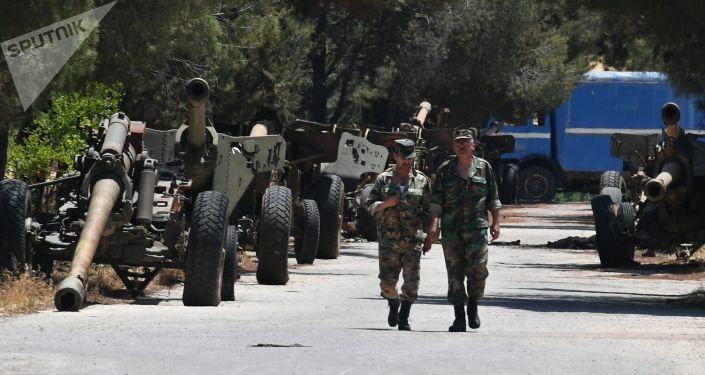 The Idlib Governorate in the northwest of Syria remains a hotbed of militant insurgency in the war-plagued country, while the government’s forces have regained control of the rest territory. Three mass graves containing the remains of 12 people were discovered on Thursday by the Syrian Armed Forces in the village of Abu Al-Duhur in southeastern Idlib where a humanitarian corridor has been set up to help civilians leave the province. The military campaign to liberate southern Aleppo, eastern Idlib and northern Hama began in November of last year. With the support of its allies, the Syrian Army has managed to retake control over those areas.